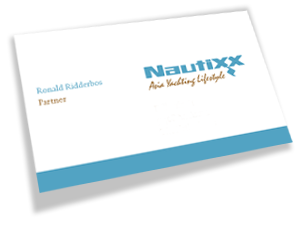 Nautixx lets you experience the unique Phuket cruising area in style with its offering of villas. These villas are personally selected by Nautixx and are part of our exclusive Yachting Lifestyle package. After explosive growth on Phuket itself over the last 20 years, the holiday home market in the region is ready for something different. Nautixx real estate projects are a departure from the cookie cutter villa resort concept and offers a truly unique and very sophisticated living. Nautixx real estate projects all appeal to the cosmopolitan buyer looking for excellent investment value. There simply won’t ever be a market glut in the truly exotic genre. Capital growth in Phuket has been averaging in excess of 15% per year for most of the past decade. Rental income returns have similarly tracked capital growth figures. Based on Thai tourism statistics one can expect yearly returns in the range of 8 to 12% net. Those who purchase a luxury villa through Nautixx at Phuket will enjoy not only appreciation year on year for their resort property, but also annual rental returns of up to 10%. Unlike other resort locations, Phuket’s unique location and climate permits year round vacation rentals, increasing the ability to earn higher returns, unlike resort Asian locations that cannot do so during the monsoon season.